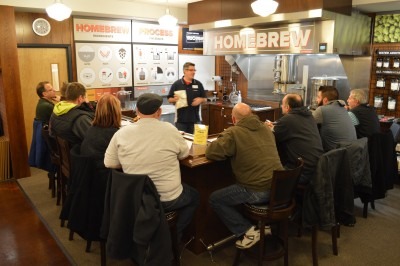 Learn To Make Your Own Beer Class @The KegWorks Store. Our in store Home Brewing Demo Lab will host this event. If you've ever wanted to learn how to make your own beer or were just curious about the process, this 2 hour class is for you. Our Brew Master will brew a batch right before your eyes. Small class size so you can ask lots of questions. Call our store to reserve: (716) 929-7570. Cost is $10 per person. The KegWorks Store is located at 1460 Military Road in sunny Kenmore. 1/2 mile south of Sheridan Dr. open Mon-Fri 9am-7pm, Saturdays 10am-6pm.